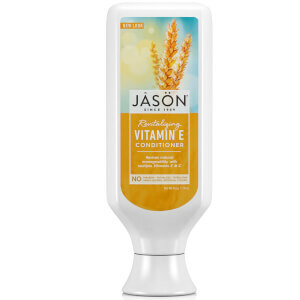 Using the purest natural vitamins, amino acids and botanicals, JASON Vitamin E with A & C E Conditioner has been specially formulated to make dry or damaged hair easier to style. Concentrated to save you money; a small amount is all you need. Body enhancing and super enriched with vitamins, minerals, proteins and herbs, JASON Vitamin E with A & C E Conditioner builds volume whilst adding a healthy shine. Your hair is left wonderfully hydrated and perfectly prepared for styling. For best results use in conjunction with JASON Vitamin E With A & C E Shampoo.